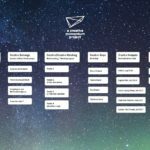 Last week Sweden had their second Industry Advisory Group-meeting. 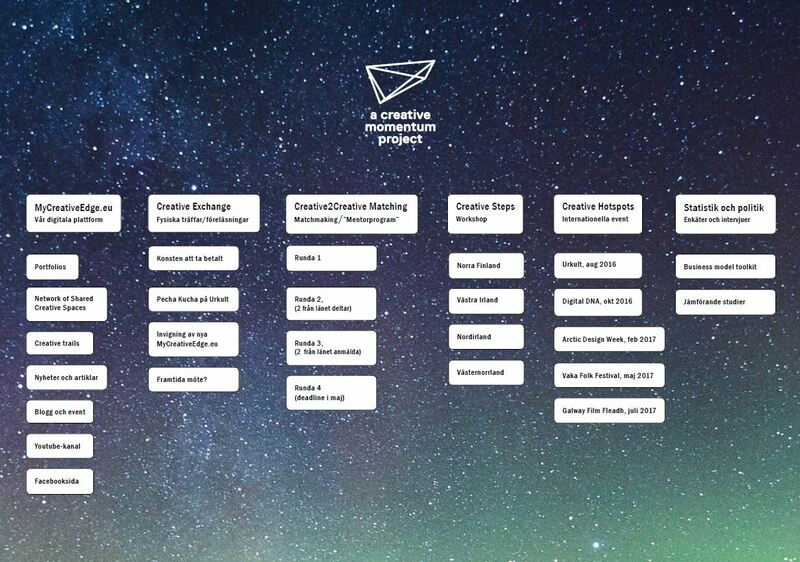 Six people from various fields within the creative sector and business development participated. The topic was mainly how to better reach our target group. 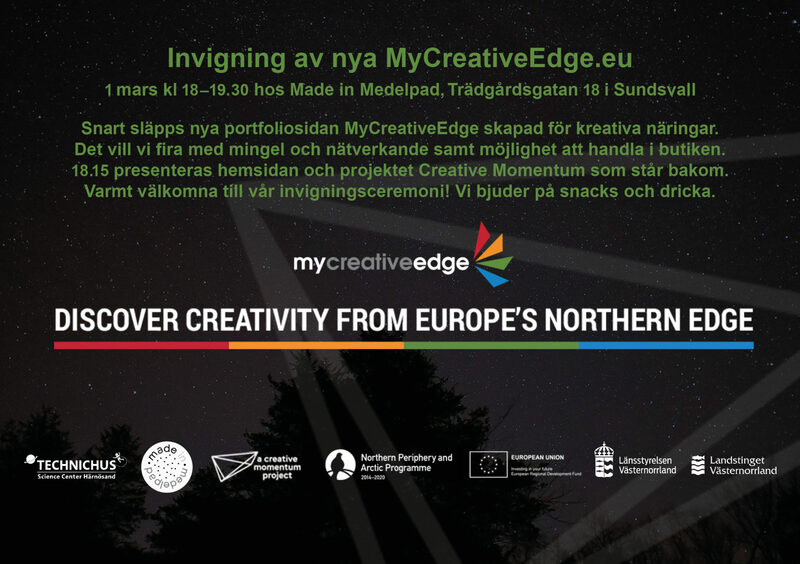 They discussed how to get more members on MyCreativeEdge.eu, how to make more people from Västernorrland answer our survey and how to find more entrepreneurs who are interested to join our Creative2Creative Matching Programme. What’s in it for me? It’s a lot of opportunities out there and it’s important to make the target group understand the benefits of our activities. What do they get if they spend their time on our project? 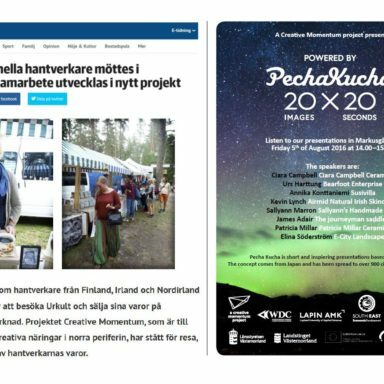 One suggestion is to find more successful cases and stories to spread, like the one about the two filmmakers who met through our Creative2Creative Matching Programme and the one about Sallyann who created her own fabric thanks to connections from the project. Stories like that makes people interested and willing to be involved in our activities. As it is now, Sweden reach quite few but those who get involved is mostly very happy and thankful. 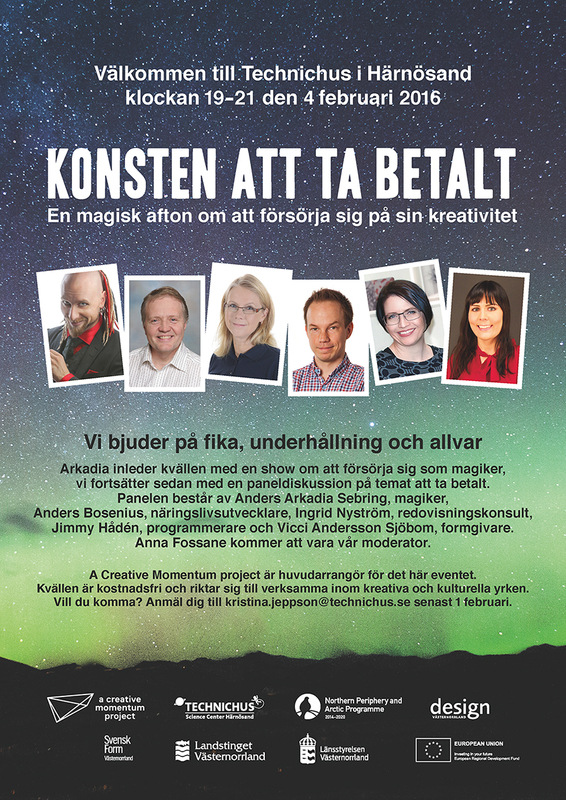 The Swedish Industry Advisory Group also talked about potential topics for our next Creative Exchange. One year ago, we had our first Exchange in Sweden called The art of getting paid. According to the Advisory Group it was a great subject that appealed a large audience. How to reach outside the region, is another topic that came up during the meeting. 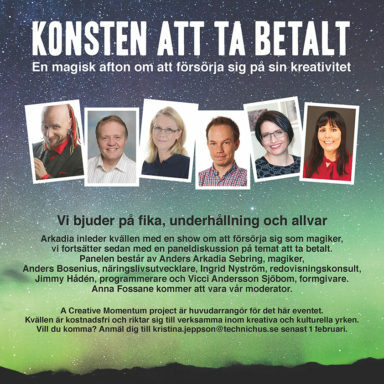 Västernorrland is too small if you want to enrich your company. How can digital tools like a web shop be used to expose your company to a wider clientele? That is a good topic for an upcoming event. 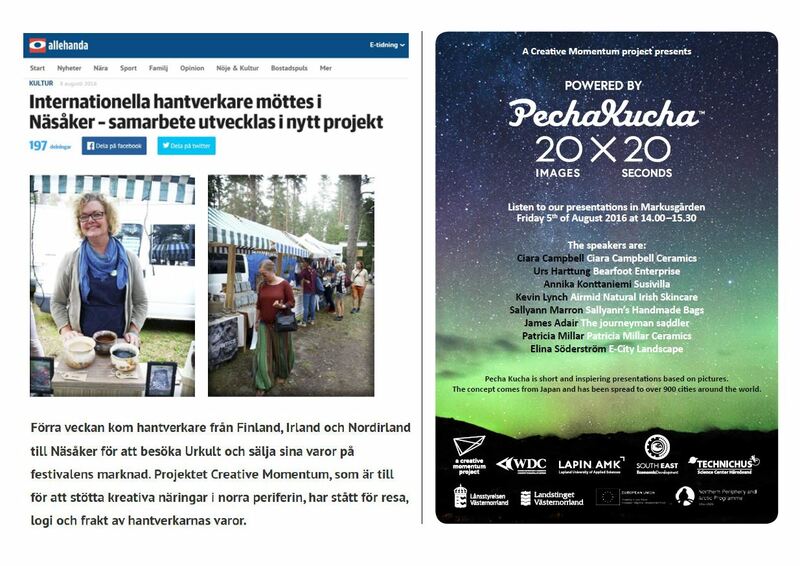 Posters from previous Creative Exchanges in Sweden. 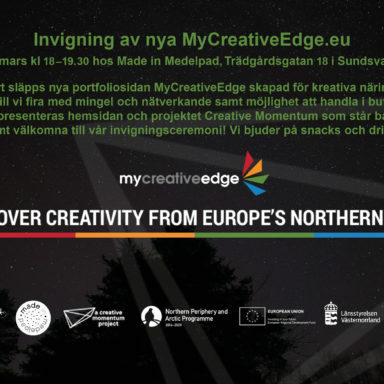 "What happens with MyCreativeEdge.eu after the project? If you want more members on the site it's important to keep it active even after Creative Momentum!"